From the fabulous Take What You Need collection, update your bar necklace or bracelet with a gypset bar. 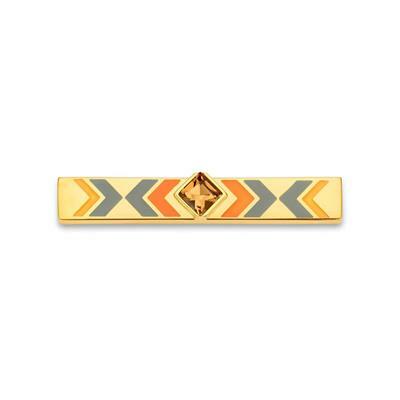 This on trend Aztec design is made of bright orange and cool grey panels on a gold toned bar with a stunning topaz coloured Swarovski crystal in the centre. The perfect bar for any boho babe.